See Miami’s dazzling nighttime cityscape and bustling night life during this 3-hour private night tour. 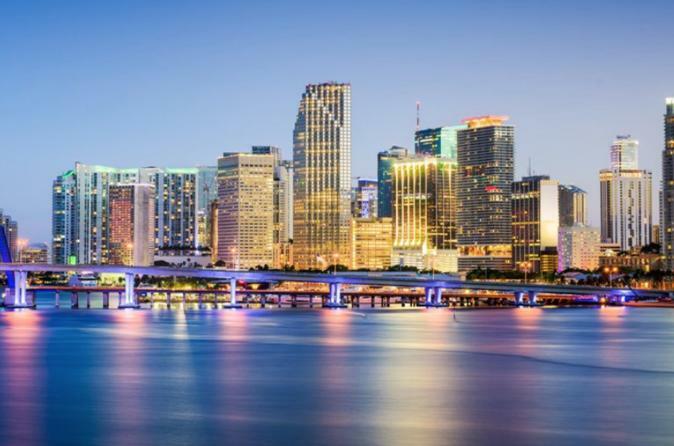 Our professional guide will take you through Miami after dark to view historical landmarks in Biscayne Bay, the Art Deco buildings of South Beach, mansions and celebrity-laden islands, and some of the city's tallest skyscrapers. We will even let you customize the tour if there are specific places you would like to go or see. All you have to do is ask your guide! Our night tour is a really fun way to spend an evening in Miami!